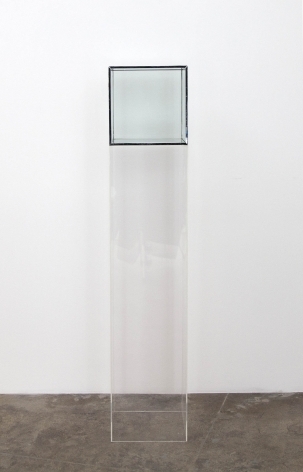 Larry Bell will be included in 'Glow Like That' at K11 Atelier. Light is not only a natural phenomenon but also a product of technological advancement. 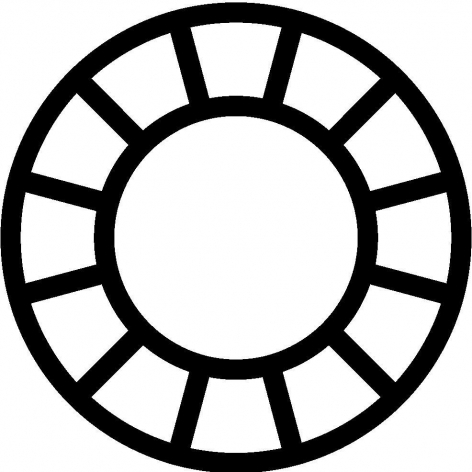 It is an empty signifier awaiting a narrative; it is undefined, fuzzy at the edges. Fluid and amorphous, light therefore has endless possibilities. When interacting with light, certain kinds of surfaces take on an iridescent sheen or reflect their surroundings, producing a shimmering or radiant ‘glow’. Presented by K11 Art Foundation as the first contemporary art exhibition held in Victoria Dockside, Glow Like That features 16 artists and collectives from countries including China, the US, and Japan, showcasing an impressive array of paintings, video works, sculptures, and installations. 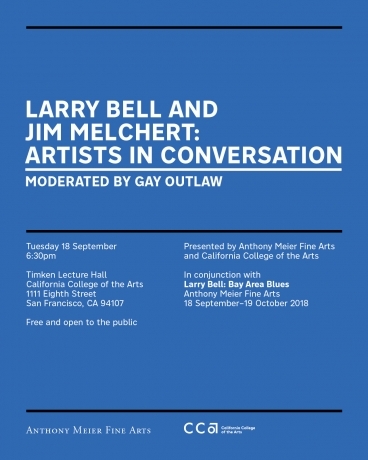 The Institute of Contemporary Art, Miami is pleased to present the solo exhibition, Larry: Bell Time Machines, on view from 1 November 2018 - 10 March 2019. Larry Bell: Time Machines is the first comprehensive American museum survey of the artist’s work in nearly two decades. 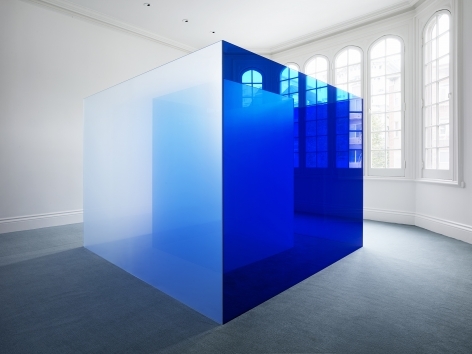 The exhibition features major bodies of Bell’s work, from the his early Cube series to his large-scale color-glass installations. 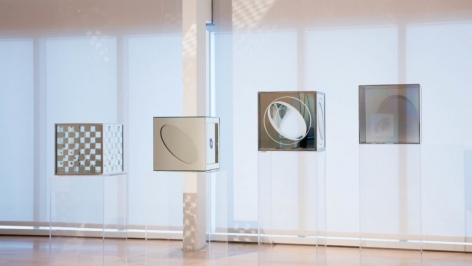 At ICA Miami, Larry Bell: Time Machines focuses attention on Bell’s innovative explorations of experiences generated by architectural space, as well as his little-known engagement with audiovisual media, including video and photography. Hayward Gallery is pleased to present the group exhibtion, Space Shifters, with works by Larry Bell. The exhibition will be on view from 16 September 2018 - 6 January 2019. A major thematic exhibition featuring artworks by over 20 international artists that alter or disrupt our sense of space and re-orient our understanding of our surroundings in ways that are by turns subtle and dramatic. Often constructed from reflective or translucent materials, including glass and resin, the artworks in Space Shifterselicit responses that are both physiological and psychological. Featuring pioneering sculptures from the 1960s – often minimal in nature and concerned with light, volume and scale – this exhibition also includes large-scale installations, ambitious architectural interventions and a number of site-specific commissions that respond to the gallery’s brutalist architecture and provide a dramatic and fitting conclusion to Hayward Gallery’s 50th anniversary year. 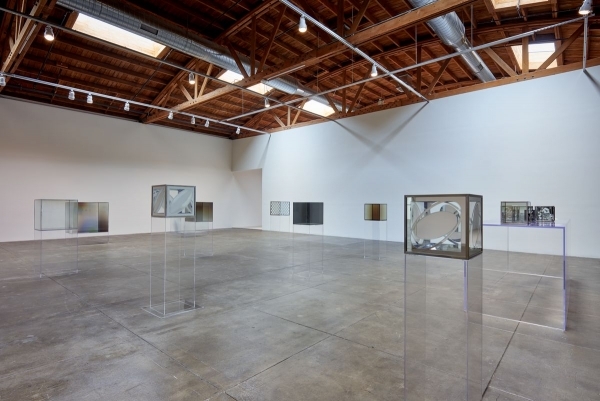 On the occasion of Complete Cubes, Hauser & Wirth's first exhibition devoted to Larry Bell in his hometown of Los Angeles, please join us for a discussion of the artist's work with Aram Moshayedi, curator at The Hammer Museum. With over 20 works ranging in size from 2 inches to 40 inches and spanning the early 1960s to today, this exhibition celebrates Bell's mastery of light, reflection, and volume through a groundbreaking approach to glass. Hauser & Wirth's presentation also features new large-scale glass sculptures created fo the exhibition. The 57th Salon is pleased to present the group exhibition, The Marvellous Cacophony, with works by Larry Bell. The exhibition will be on view from 15 September - 28 October 2018. 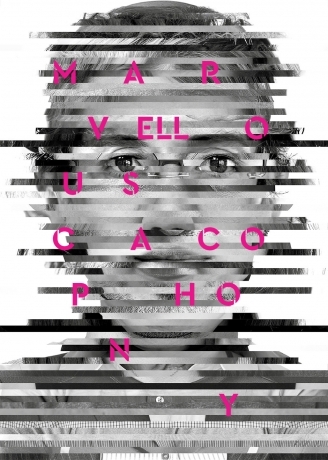 The Marvellous Cacophony is based on the idea of diversity. This concept puts the Serbian and the Belgrade art scenes into an international context, but at the same time, refers to the complex cultural and socio-political situation in the region. At the beginning of 21st century, despite the fact that the Western notion of contemporary art has become an universal model of reference, no single common denominator has emerged. 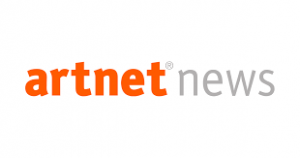 The art world has many centres, multi-layered activities, a plurality of ideas about what art is and what it can be, and an impressive number of heterogeneous works. This Marvellous Cacophony reflects the richness of the world. It is a positive condition, creating energies that can include dissonance and even conflicting ideas and expressions. It involves the coexistence of multiple identities and permanent relational flows, conveying notions of miscellany and openness, and creating meaningful narratives about art and culture, social issues and politics. The Marvellous Cacophony will explore worldwide artistic production, looking into diverse art scenes and different generations of living artists. It will bring together a constellation of works that express, through their forms, structures, materials, techniques, devices and content, the extraordinary richness of contemporary artistic expression. Hauser & Wirth Los Angeles is pleased to present Larry Bell. 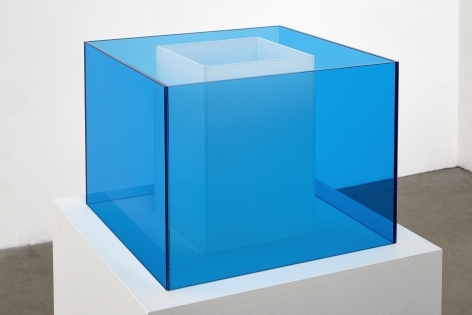 Complete Cubes, the gallery’s first solo exhibition for the internationally acclaimed American artist in his hometown. The exhibition will be on view from 23 June - 23 September 2018. 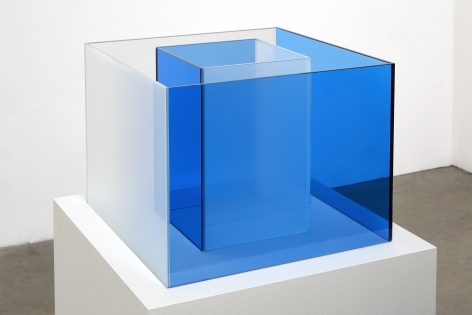 Larry Bell’s innovative approach to sculpture and perceptual phenomena has placed him uniquely at the hub of both Southern California’s Light & Space movement and New York Minimalism in the sixties, which continues to inform his practice today as a forerunner of California Minimalism. 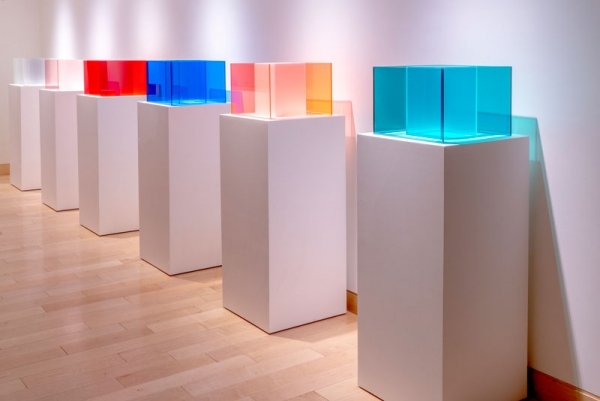 This landmark exhibition offers viewers insight into Bell’s lifelong dedication to the glass cube through a groundbreaking body of work that has become inextricably linked to the emergence of Los Angeles as an internationally significant center of artistic innovation. 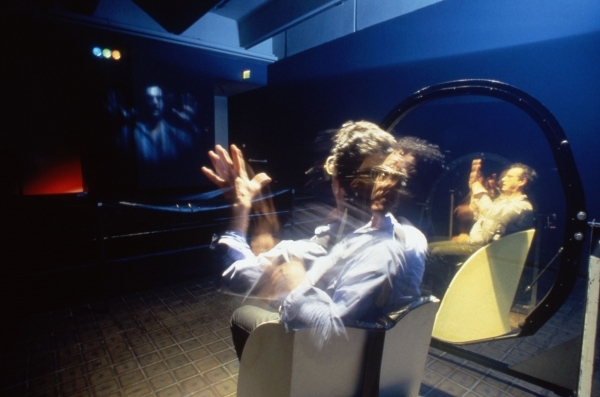 Complete Cubes introduces visitors to Bell’s early experiments with scale and materials while illustrating his long engagement with the glass cube. 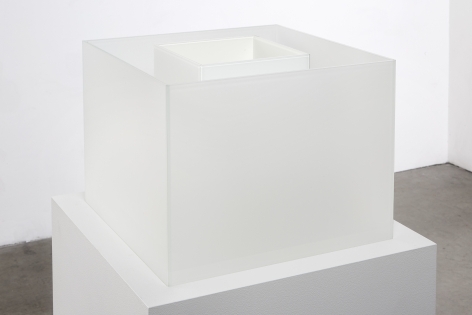 The first seven works on a Plexiglas pedestal custom-designed by Bell demonstrate the variety of methods, materials, and surface treatments that the artist has employed while working with glass cubes from the early 60s through the 2000s. The Harwood Museum of Art is pleased to present the solo exhibition, Larry Bell: Hocus, Focus and 12, on view from 9 June - 7 October 2018. 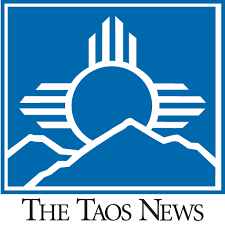 The exhibition is guest-curated by noted photographer Gus Foster, a longtime friend and collaborator of the artist – they have shared adjoining studios in Taos since 1976. 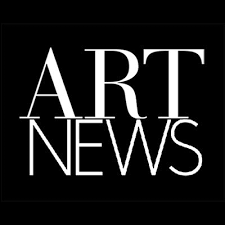 Foster and Bell have selected work from Bell’s Taos studio and from the seventy-four works by the artist in the Harwood Collection. Larry Bell is one of the most noteworthy representatives of abstract art in the postwar period. His career has spanned nearly six decades and has given him an audience in all the major art centers of the world. 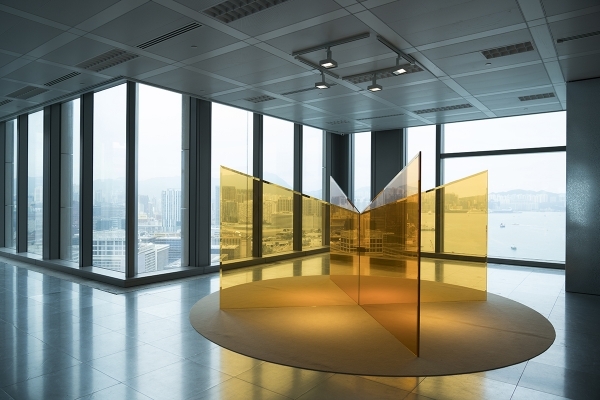 Bell’s medium, “light on surface,” has often utilized the technology of thin film deposition of vaporized metals and minerals on glass surfaces. His work has evolved in a number of directions, beginning with constructions, glass boxes and standing wall glass panel sculptures. Other bodies of work include Vapor Drawings, Mirage works (collages) on paper and canvas, Furniture de Lux, Sumer (a series of calligraphic bronze figures up to 30 feet in height), and Fractions, a series of 12,000 small 10 x 10-inch collage works on paper. Bell exhibits extensively in museums and galleries internationally and in the U.S. and has been awarded numerous public art commissions. 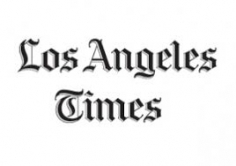 He was born in Chicago in 1939 and grew up in the San Fernando Valley of California. 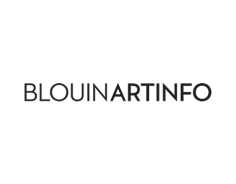 He briefly attended Chouinard Art Institute in Los Angeles where he met other students and teachers who would become lifelong friends and fellow artists. 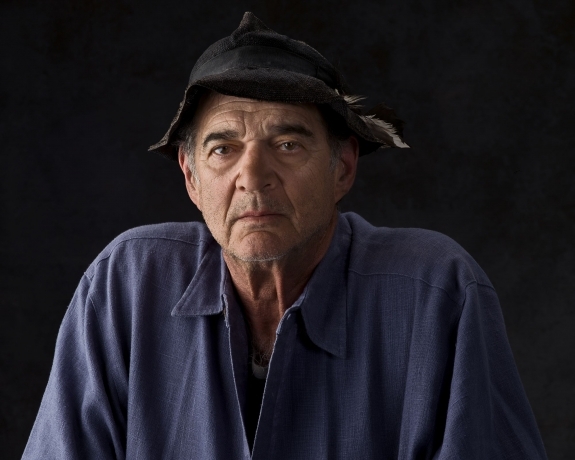 He moved to Taos, New Mexico in 1973 and currently maintains studios in both Taos and Venice, California. The Aspen Art Museum is pleased to present the solo exhibtion, Larry Bell: Aspen Blues, on view from 1 June - 16 December 2018. 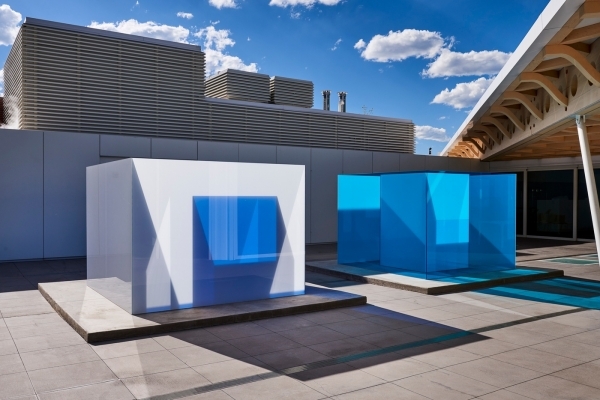 For his AAM presentation, Bell will install a new sculptural diptych, Aspen Blues (2018), in the AAM’s Roof Deck Sculpture Garden. 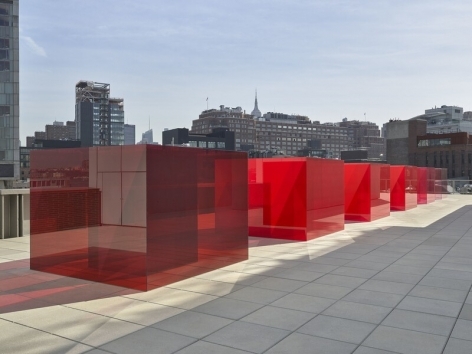 His widely acclaimed glass cubes—initially relatively small and exhibited on pedestals—both reflect and absorb light to create sensuous, interwoven experiences of mirroring and transparency. Art historian Jack Burnham has described these works as “constructions which nearly dissolve into invisibility in the feat of optical titillation.” The artist’s move to Taos in the mid-1970s sparked his interest in public art, and he began to conceive more expansive and sizeable work. Over the decades, his classic boxes have become larger, more complex, and enhanced in their saturation of color and intensity.